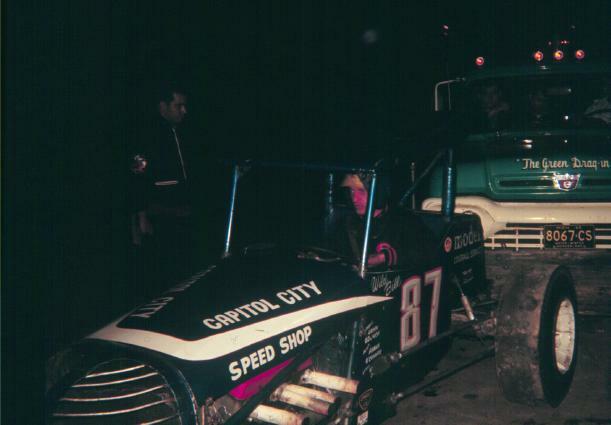 The blue #87 "Capitol City Speed Shop/Model Coverall" upright super. 1965 Speedrome? Wild Bill Denninger from Lansing driving. From the archives of Phil Bialas. Thanks to Jerry Vogel.